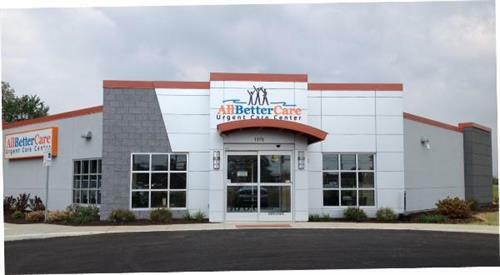 AllBetterCare Urgent Care Center provides immediate walk-in care for non-life threatening illnesses and injuries. Our treatment team, supervised by emergency physician specialists provides care from the simplest to the more complex medical conditions. By providing walk-in care in coordination with primary care physicians, pediatricians, outpatient imaging centers, hospitals and physician specialists, AllBetterCare is the perfect addition to our community's health care network. We offer treatment options and a skilled, friendly staff that put your care in the right hands at the right time. We are a participating provider for the largest regional insurance plans. In the event that we do not participate with your health insurance plan, we will help you submit your claim directly to your insurance carrier or utilize our self-pay option. Wait times are definitely a concern when you are sick or hurt. At AllBetterCare we can't always predict wait times, but our business is designed around making unscheduled access to medical care as painless as possible. The wait time for our services will in almost all cases be much shorter than those experienced in emergency rooms. We are open 7 days a week from 8AM-8PM and appointments are not necessary. We make our service available on your schedule, not ours. Visit us online at AllBetterCare.com for details on how to speed up your care.